WHITE WIZZARD's video for the song "Chasing Dragons" can be seen below. The track is taken from the band's latest album, "Infernal Overdrive", which came out in January. 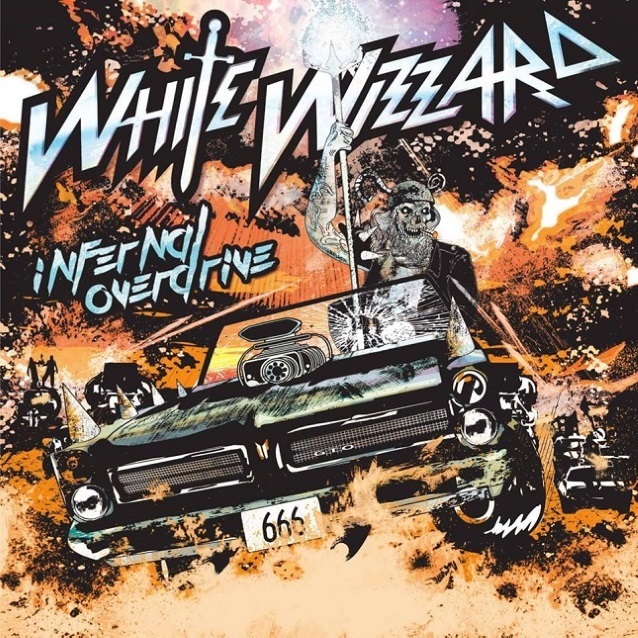 Fans have long anticipated the return full-length from traditional metal heroes WHITE WIZZARD, who revamped their lineup last year to include the return of their strongest players to date, vocalist Wyatt "Screaming Demon" Anderson and guitarist James J. LaRue. Reviews have been overly positive and critics are recognizing the band firing on all cylinders by not only bringing back all of their expected true metal ingredients but flavoring this hour-plus ride with an expanded repertoire of moods and influences citing comparisons to RUSH, LED ZEPPELIN and METALLICA on certain tracks, all highlighted by the group's seasoned musicianship and proper album production, courtesy of Ralph Patlan (MEGADETH, UFO). "Despite madness and delays, we've persevered through hard work and determination and this album has finally come to be," explained Jon Leon. "This is, in everyone's opinion, a special album and what we feel is our best work to date. It has a lot of dynamics and amazing vocals by Wyatt with stunning lead guitar by James J. LaRue."